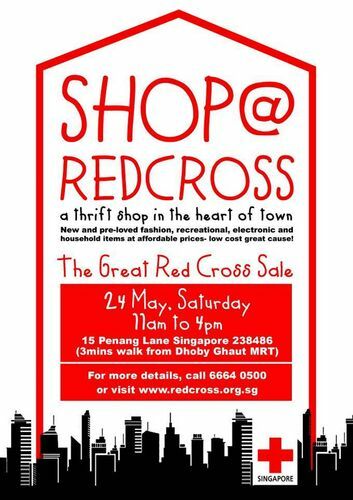 Come join us in The Great Red Cross Sale on 24th May at 11am to 4pm and SHOP FOR A CAUSE this coming weekend! Check out new and used apparels, accessories, bags, shoes, toys, household appliances and the list goes on and on. All proceeds from the sale of items will go towards the Singapore Red Cross local humanitarian effort, such as helping the disabled and less fortunate in Singapore.